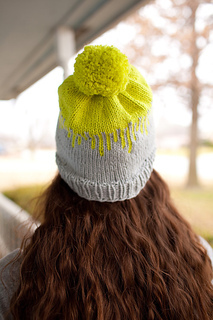 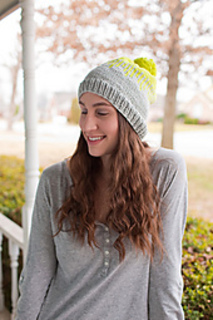 patterns > The Pretty Little Fiber Co.
DRIPS is a spunky, slightly slouchy colorwork hat made to mimic the appearance of paint drips running down the beanie. 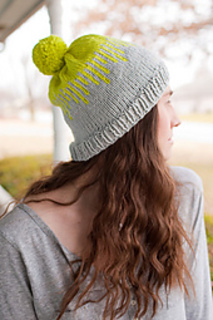 It is meant to be knit and worn playfully! 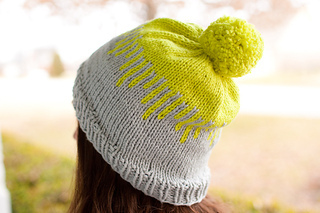 This is an excellent first colorwork project if you have yet to take the leap into the world of knitting with more than one color. 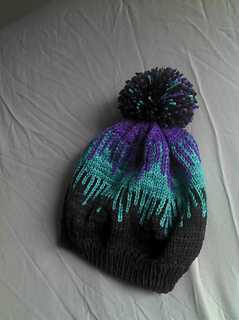 Switch up the colors or yarn, make it your own, have fun! 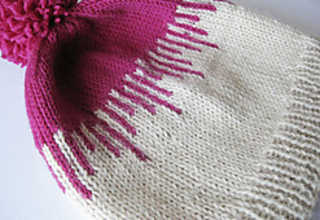 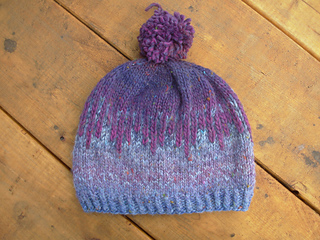 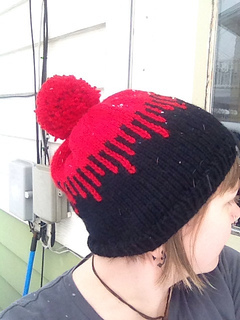 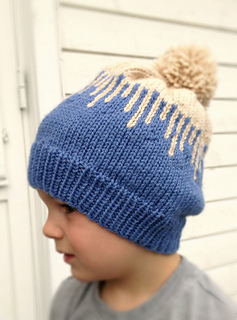 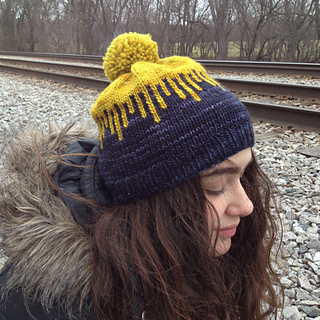 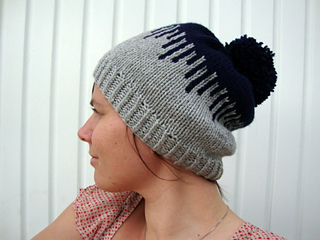 You will need approximately 100 yards of heavy worsted or aran weight yarn in both colors to make this hat, or yarn that meets the specified gauge.